View down the street. Still an empty lot or two. 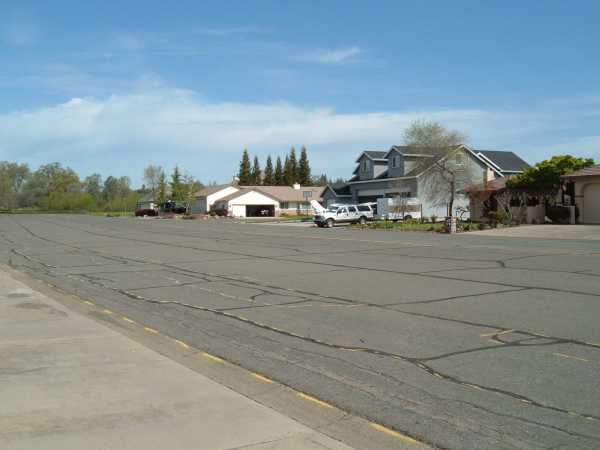 Streets are wide enough for two airplanes to pass.